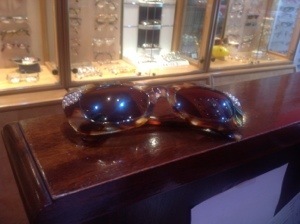 Mrs F purchased 3 pairs of spectacles today and said the following “. GLASSES SHOULD BE LIKE JEWELS”. We couldn’t agree more her red reading spectacles were fabulous when paired with her tortoise frames with pearls.